A tight game at half-time got even tighter. The annual Community Cup charity match at Elsternwick Park between Melbourne rock musicians and community radio broadcasters is a hoot. The footy’s not the highest standard going around but it’s the spirit of the day that counts – and the money raised for the Reclink, a charity that provides sport and arts activities to help people who are living hard. 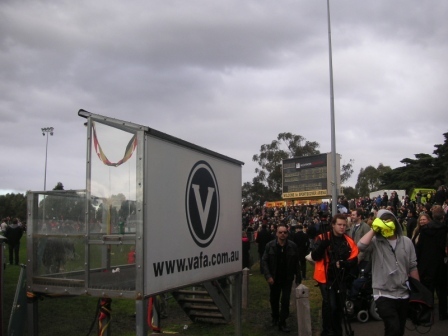 This year’s game, on Sunday 24 June, saw the teams play a draw with a likely match-winning goal late in the game by the broadcasters (the Megahertz) being disallowed by umpire Brian Nankervis (of RocKwiz). Final scores were Megahertz 4.11 (35) to Rockdogs 5.5 (35). A crowd of 9000 raised $70,000. In 2009 the musicians defeated the broadcasters in another thrilling and controversial finish, when You Am I’s Tim Rogers goaled just before the siren after marking a perfect 45-metre pass from ex-AFL player Rupert Betheras. The former East Perth and Collingwood player was listed in the footy record as ‘Banjo’ and the Megahertz were not entirely happy that such a high-quality ring-in was playing for the Rockdogs. The 2009 scores were still up a few days after the big game. 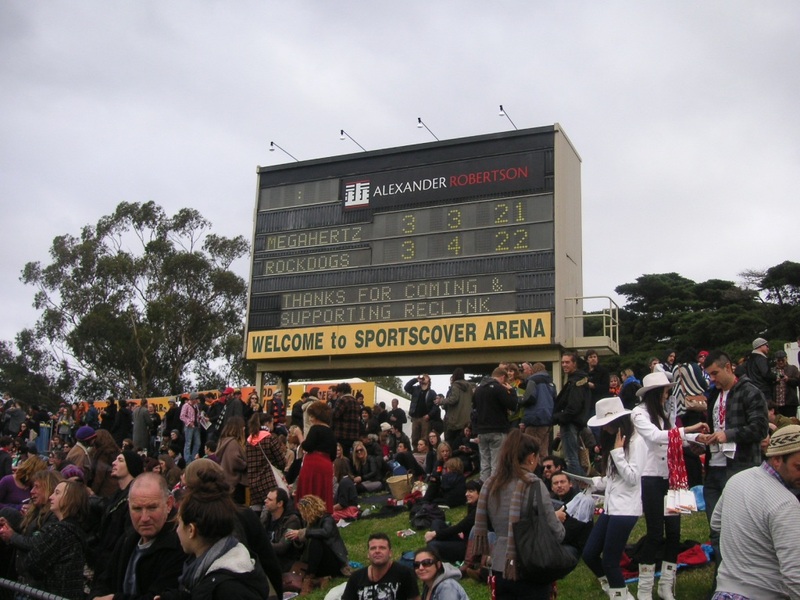 2010 saw a one-point victory to the Megahertz , with Triple R announcer Stuart Farrell kicking a life saving goal in the final moments of the game. 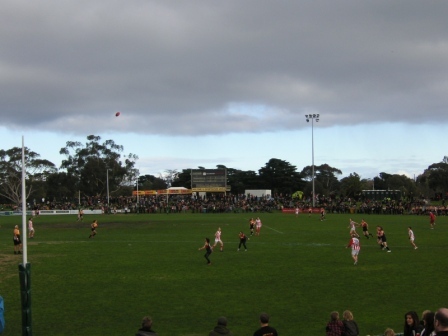 In 2011 the Rockdogs won easily, 11.10 (76) to 4.17 (41). 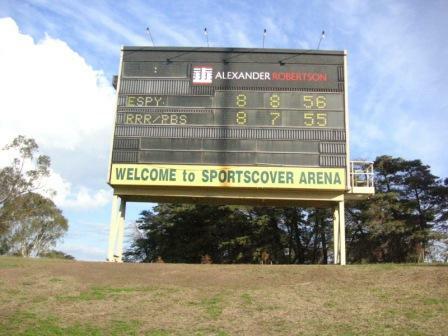 The Elsternwick Park electronic scoreboard was built in 1985, with one of its original sponsors being the State Bank. The bank has long gone (state governments love selling their assets, don’t they?) but the scoreboard remains, a seemingly vast structure for a suburban ground, albeit the headquarters of Victorian amateur football.